Thank you for taking part in our research into the levels of customer satisfaction in the learning technology market. To provide a true measure we’d like to encourage you to complete the survey for all your main suppliers. You can see it only takes a few minutes, so if you’ve already told us about your LMS provider, you can now share your experiences with those vendors supplying e-learning services, authoring tools or other platforms. 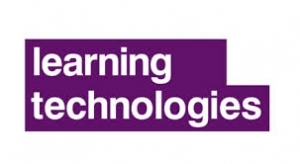 In association with Learning Technologies, we have been sharing the analysis of the initial trends survey, revealing the state of the learning technology market in Europe. With over 1000 respondents, the data is telling us some interesting stories. Download your complimentary report and datasheets now. If you have any questions about our research or would like to speak to one of our analysts about the results, drop us a line on info@fosway.com.